I was really hoping to make a chocolate post at least once a week, but then I got really sick with the changing of temperatures and the season which forced me to not be able to post anything in the past week 🙁 But thankfully I am recovering and I have several chocolate things I want to post about in the near future! A dear friend came to visit me during my time of recovery and we were able to spend our birthdays together. During her stay while we were wandering around Georgetown, we saw a Godiva store and decided we had to pop in. So this Godiva store in particular I had gone into multiple times. Like enough times that one of the ladies working there recognized me 😉 It had been a while since I had last visited this location, so I was pleasantly surprised when this same lady recognized me and immediately handed my friend and I chocolate samples! My friend’s and my main objective was to see if there were any pumpkin flavored truffles and sure enough, there were two of them!!! 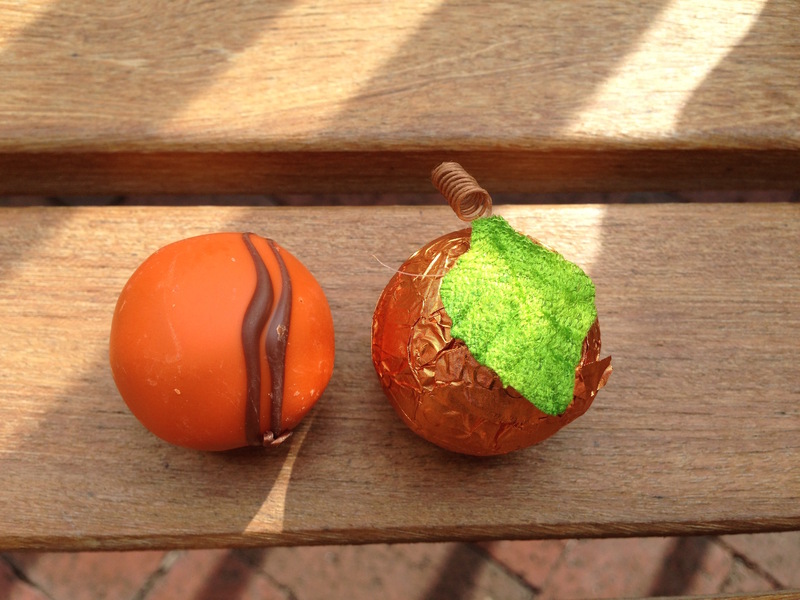 The orange truffle on the left is Pumpkin Cheesecake. It was gooey and so cheesecakey! Next time I pass by a Godiva, I’m going to see if I can grab several more 😉 The one on the right is Pumpkin Spice. 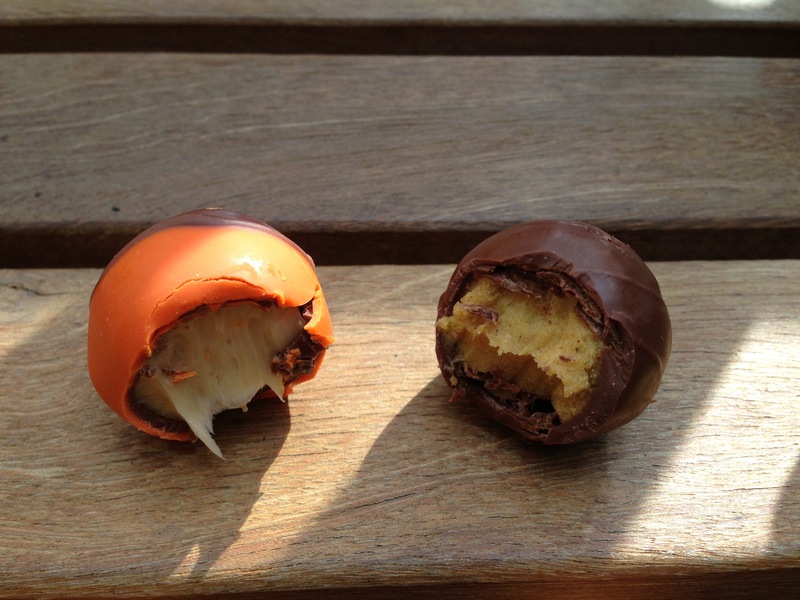 It tastes like the pumpkin spice latte condensed into a ball and then surrounded by a protective layer of milk chocolate. That’s the way I would prefer my PSL! If you have signed up to be a member of Godiva (signing up is free! ), during your birthday month you get $10 off any purchase and a free truffle. Because our visit was during my birthday month, I used my $10 purchase to get a small box of Pumpkin Spice truffles. (I had already broken into the box and started eating the truffles before taking a picture.) Admittedly I think I would grab a handful of the Pumpkin Cheesecake truffles over the Pumpkin Spice, but there were no boxes of simply Pumpkin Cheesecake available. If you are near a Godiva store, grab each of these truffles and try them out! Totally worth it!